What’s the most beautiful U.S. coin ever made? Whenever that question arises, one of the first and most frequent answers is sure to be the Saint-Gaudens double eagle, or $20 gold piece. And those who know the subject well are almost sure to specify the “Saint” with high relief. Saint-Gaudens accepted the challenge eagerly, and began preparing dramatic new designs to replace the long-running Liberty double eagle and Coronet eagle, the two largest U.S. gold coins, both of which had carried the same basic portraits for more than half a century. He also fashioned a new one-cent design. The cent never reached production, but the gold coins emerged as masterworks of numismatic art. The double eagle’s obverse features a full-length portrait of Liberty grasping a torch in her right hand and an olive branch in her left. She is shown in full stride with rays of sunlight behind her, the word LIBERTY above her and the U.S. Capitol Building to the left of her flowing gown. Encircling her are 46 stars—one for each state in the Union at that time. The designer’s monogram (ASG) appears below the date. The coin’s reverse depicts a breathtaking eagle in flight—perhaps the most spectacular likeness of the nation’s official emblem ever to grace a U.S. coin or medal. Below this magnificent bird is the sun with its rays extending upward; above it, in two semicircular tiers, are the inscriptions UNITED STATES OF AMERICA and TWENTY DOLLARS. High points to check for wear are Liberty’s breast and knee and the eagle’s wing. 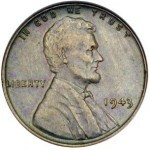 The artist reinforced the clean, uncluttered look of the coin by placing one other required motto, E PLURIBUS UNUM, along the edge, thereby reducing the obverse and reverse verbiage. 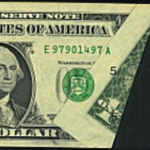 The normal clutter was further reduced when Roosevelt and Saint-Gaudens conspired to omit the motto IN GOD WE TRUST on the first of the new double eagles. Roosevelt, a devout man, believed using the name of God on our currency was blasphemy, for there was no way of knowing for what unworthy purpose it might be used. He thought the name of God belonged in houses of worship, not in saloons, casinos and bordellos. But God-fearing members of Congress with a different viewpoint, soon noticed this, and mandated addition of the motto on later issues. Roosevelt and Saint-Gaudens intended the double eagle to be struck in high relief—though clearly not as high as the very first strikes—so each exquisite detail would be shown to full advantage. 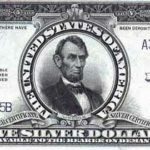 They encountered resistance, however, from the U.S. Mint’s chief engraver, Charles E. Barber, who considered this impractical and sought to abort the project. Saint-Gaudens died in August 1907, before production began, leaving his able assistant, Henry Hering, to carry on the running battle with Barber. The earliest production strikes were indeed made with high relief; according to Breen, they received five blows apiece from the Mint’s hydraulic press. In addition to the business strikes, there also are “probably at least eight or nine proofs,” he reported, with these having received six or seven blows apiece. Some production strikes had a wire rim, others a flat one, and all displayed the date in Roman numerals. But after turning out just 12,367 pieces, Mint technicians substituted new dies with modified, lower relief. Barber’s objections based on practicality had prevailed. 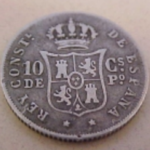 In yet another concession to commercial expediency and public unfamiliarity, the Mint replaced the Roman numerals with Arabic ones on all further coinage. 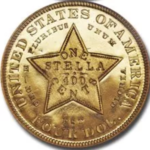 Breen pronounced the high relief double eagle to have been “the finest American coin design ever to reach circulation.” Collectors certainly agree, for today the high-relief is one of the most sought after coins in numismatics. The actor Adolphe Menjou had a particular penchant for the coin; he accumulated 250 pieces before his hoard was dispersed in the 1970s. Thanks to the high-relief and ultra-high-relief examples, the full realization of Saint Gaudens’ numismatic artistry lives on for all to admire. Was there a change in the way cents are manufactured in 1994?